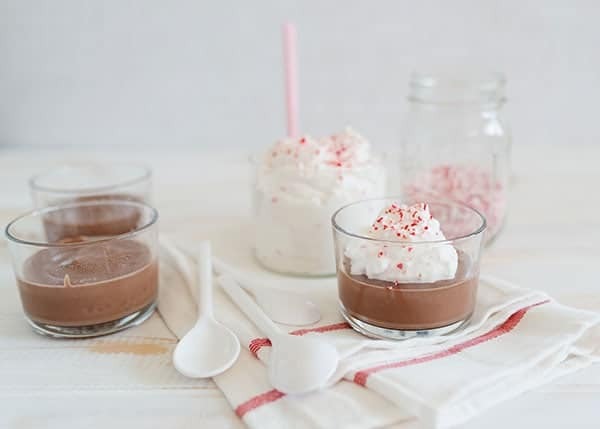 Peppermint Marshmallow Whipped Cream is heavenly on milk chocolate pudding or on your favorite hot chocolate recipe. I’m not sure where I got the idea to mix a jar of marshmallow cream (Or Fluff if you are from New England) into homemade whipped cream, but I am so glad that I started doing it. It is so divine that you could 100% eat it on its own and be very happy. But you know me, I need to put it on just about everything I can think of. The obvious thing to add it to is hot chocolate. I think that I make at least 20 pots of hot chocolate in the month of December for my kids. They loved this fancied up whipped cream to go on top of their steamy mugs. I also made milk chocolate pudding and this candy cane whipped cream is the perfect accompaniment. This is a homey and comforting winter dessert. 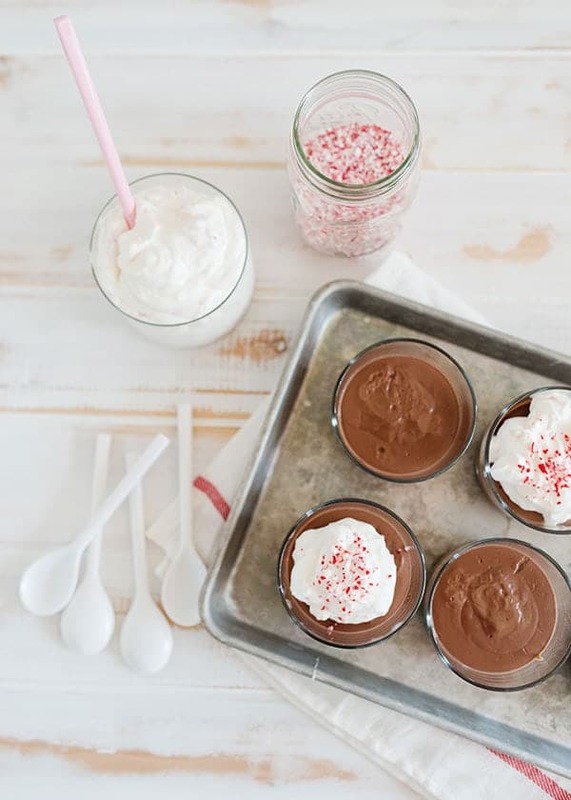 It definitely isn’t what people expect you to serve them for dessert, but they are instantly brought back to pudding cups in the lunchroom (but a 1000% better) and are so happy. This is also great on a hot fudge sundae. Another idea is to add some cocoa and make a chocolate peppermint version. I think that I need to try that one as soon as possible. 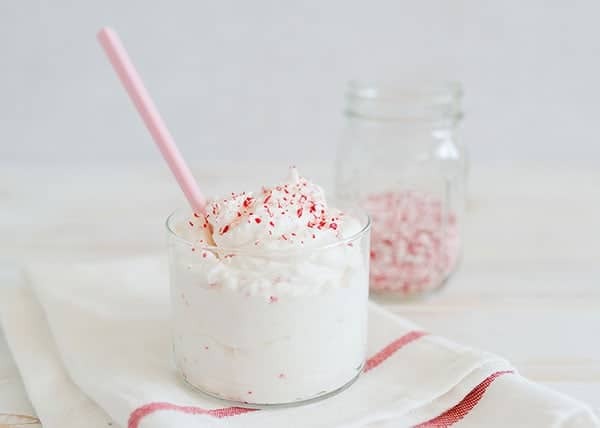 For the full recipe for Peppermint Marshmallow Whipped Cream click below and you can grab it from the Dixie Crystals website. This sounds amazing, Bree! Off to check out the recipe! Thanks Kristen! It is so good. I’ve made it quite a few times already this season….